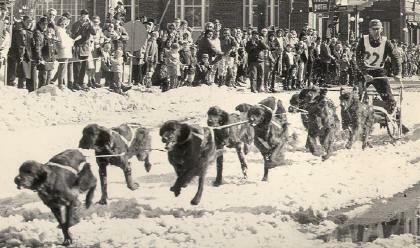 When the Lakes Region Goes to the Dogs: The Laconia World Championship Sled Dog Derby. A gust of wind picks up snow in a cloud of gritty white, which billowing, hurries across the frozen field. Except for the wind, there is nearly no sound. But wait… in the distance, borne on the icy wind, suddenly there is a cacophony of barking dogs. There is almost a musical quality to the sound, which falls somewhere between barks and howls and is nearly rhythmic. There’s movement, along ways off. Then, as if emerging from the pages of a Jack London novel, on the distant side of the field, a musher guides his dogs through the yawning expanse of white. They’re moving with speed that’s shocking, covering the distance smoothly and swiftly. They draw closer and closer, the dogs becoming louder until you can hear their hurried footfall… then suddenly, the team flies past with a swoosh. 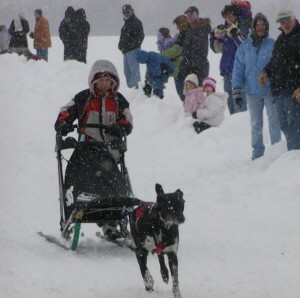 at team is one of the top dogsled teams in the world. This is more than a race: it’s the Laconia World Championship Sled Dog Race, this year, taking place Now through Sunday in Laconia. 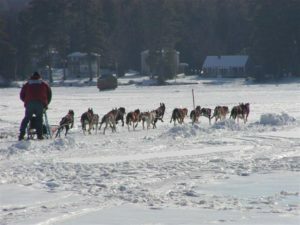 The World Championship Sled Dog Derby originally was scheduled for the weekend of February 8 but was postponed due to lack of snow, and again because the trails were coated with thick ice. But last weekend’s snowstorm left a strong base, and the trail is in great shape for racing that began yesterday. as well as entrants from Germany, Finland and Norway. The mushers race under the rules originally established by the Nome Kennel Club in 1908, and the race features four classes of competitors: Unlimited, 6-Dog, 3-Dog Junior and One-Dog. reet in Laconia, across from the State Correctional Facility. The Unlimited race will run all three days on a 15 mile course that winds around Laconia Club, follows the shore of Paugus Bay on Winnipesaukee and then dashes through the fields along Rte 106 Parade Road. The dogs themselves are a wonder to behold. They’re beautiful specimens and clearly are very well cared for. To see them in their element, racing across the snow, it will quickly become clear to you that this is where the dogs are the happiest – cutting loose in the New Hampshire winter wonderland. You’ll see the joy in their faces! Parade Road has several spots where you can get a good view of the action. Best bring a camera that has a good telephoto lens if you want to take pictures. This year, a local radio station, Newstalk 1490 WEMJ AM (Laconia) will provide full coverage of all the action, so if you want the entire experience, bring a portable radio with you. 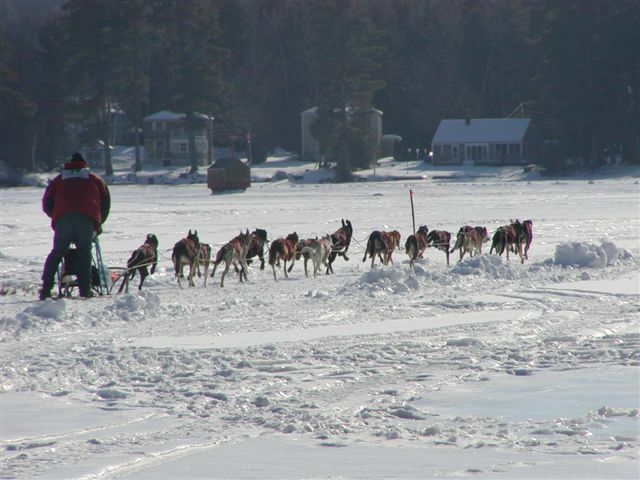 Wear layers of warm clothing and consider bringing your snowshoes or cross country skis so you have an opportunity to follow the action from different vantage points – just be sure to stay clear of the sled dog trail. It’s high speed traffic!